Soapy clary sage, plum and tender, green carnation (Houbigant 1982) are rich and effusive. 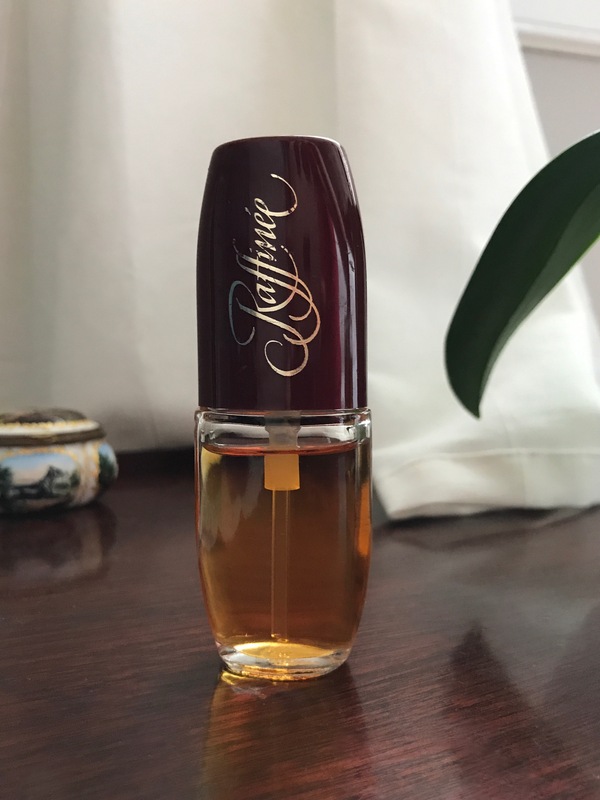 And vintage orange blossom, jasmine, tuberose and mimosa sing from the heart of Raffinée. Then orris root mixes with sandalwood and cypress to turn up the volume. Certainly there’s musk, vanilla, incense and vetiver but despite their presence the other notes are soboisterous (but not obnoxious) they become accompianments. This is a true saucy, beautiful, sweet and spicy 80’s gem. It’s definitely worth investigating. Top notes: carnation, orange blossom, plum, clary sage, jasmine, lemon, bergamot and rose. Middle notes: mimosa, tuberose, tonka bean, orchid, osmanthus, orris root, hiacynth and ylang-ylang. Base notes: spices, cypress, sandalwood, cinnamon, musk, vanilla, vetiver and incense.